"Gruccione is a bird with a multicoloured feathering. It lives in North Africa and every summer when it returns, it crowds the sky above my vineyards of coloured flights feeding also on some insect noxious to the vines. 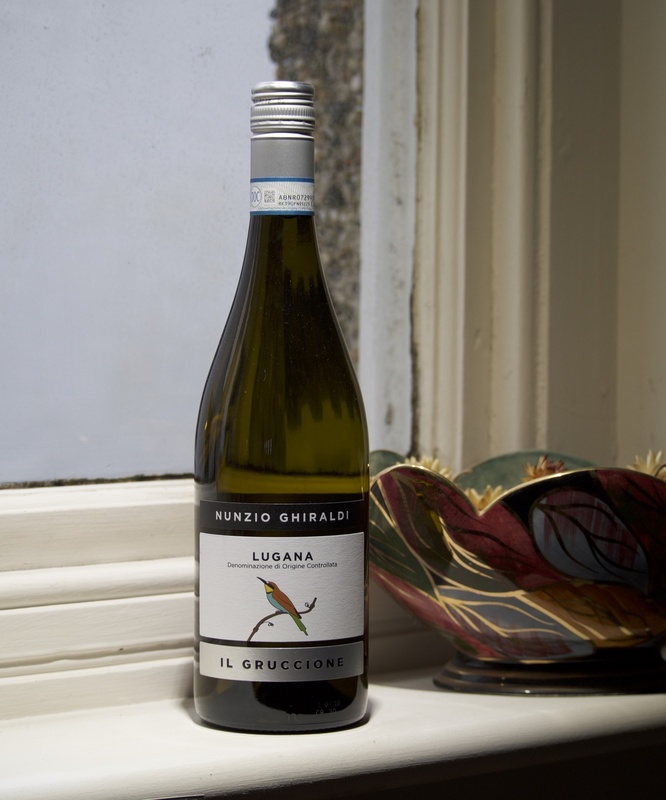 So I have dedicated my Lugana Superiore to this bird" - Nunzio Ghiraldi.<br> <br> Il Gruccione Lugana is exceptionally well balanced with a beautiful texture, subtle richness and good minerality. Unoaked. "Gruccione is a bird with a multicoloured feathering. It lives in North Africa and every summer when it returns, it crowds the sky above my vineyards of coloured flights feeding also on some insect noxious to the vines. So I have dedicated my Lugana Superiore to this bird" - Nunzio Ghiraldi. Il Gruccione Lugana is exceptionally well balanced with a beautiful texture, subtle richness and good minerality. Unoaked.